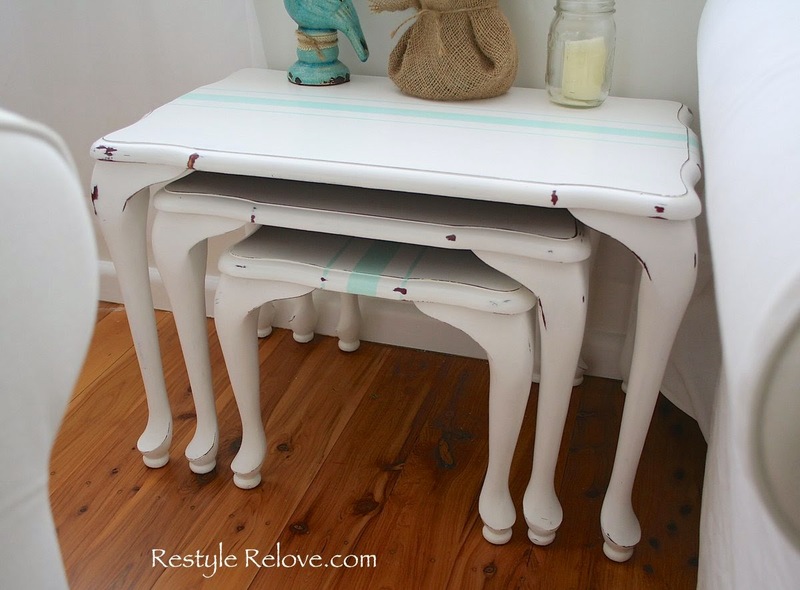 I used 3 coats of DIY white chalk paint. Then gave the tops a light sand and taped off my stripes. 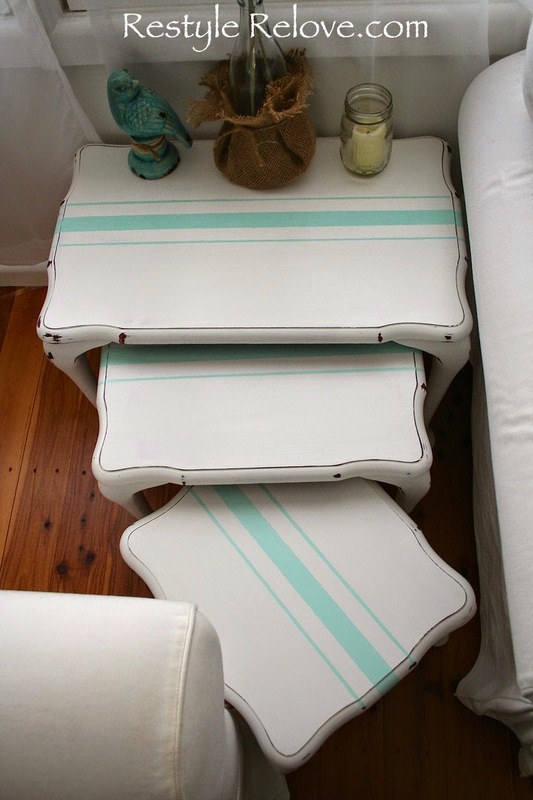 I used a turquoise coloured paint to fill in my grain sack stripes. And sanded again, doing the legs as well and distressing the edges. 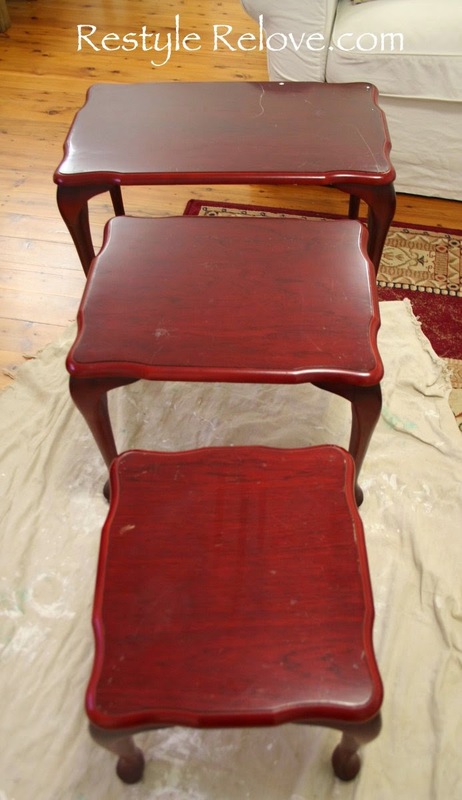 Then I gave the tables 3 coats of clear varnish. I love the way they turned out, don't you? Very pretty Julie. Love the color. 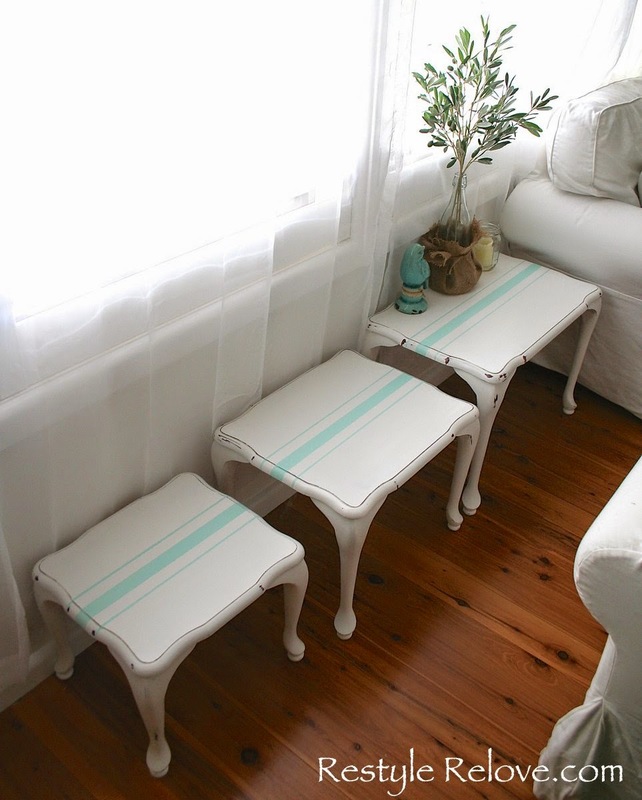 Love that they stack too for space saving. Have a great start to the week ahead. Was there any tone or colour change on the white from the clear varnish? Great look, love the grain stripes, pinned. 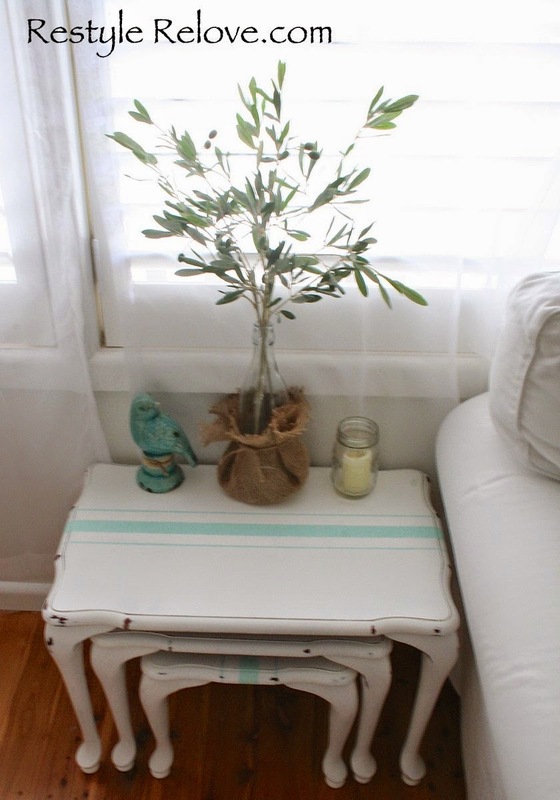 I've always had a thing for nesting tables. 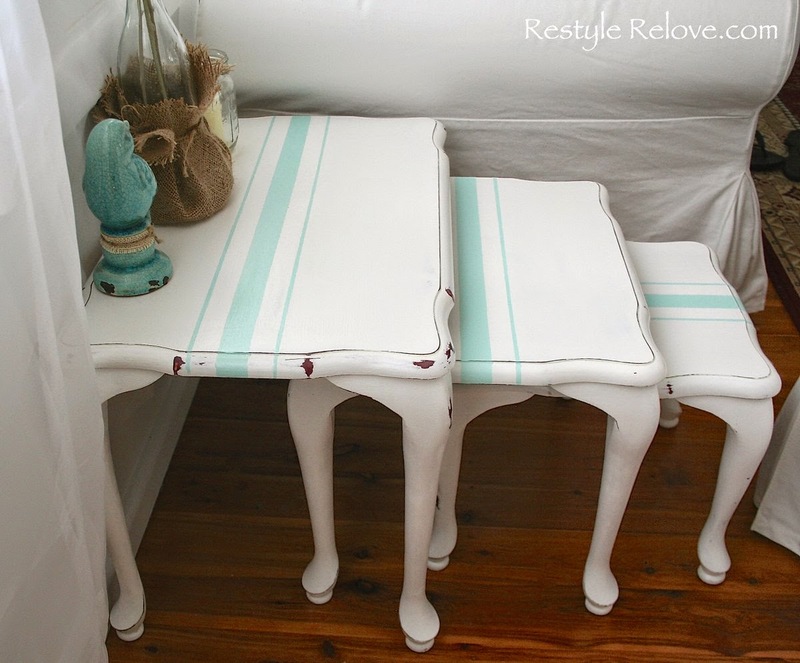 They're so practical when you need an extra little table to hold a cup of coffee or a drink, and they're just so cute nesting together. 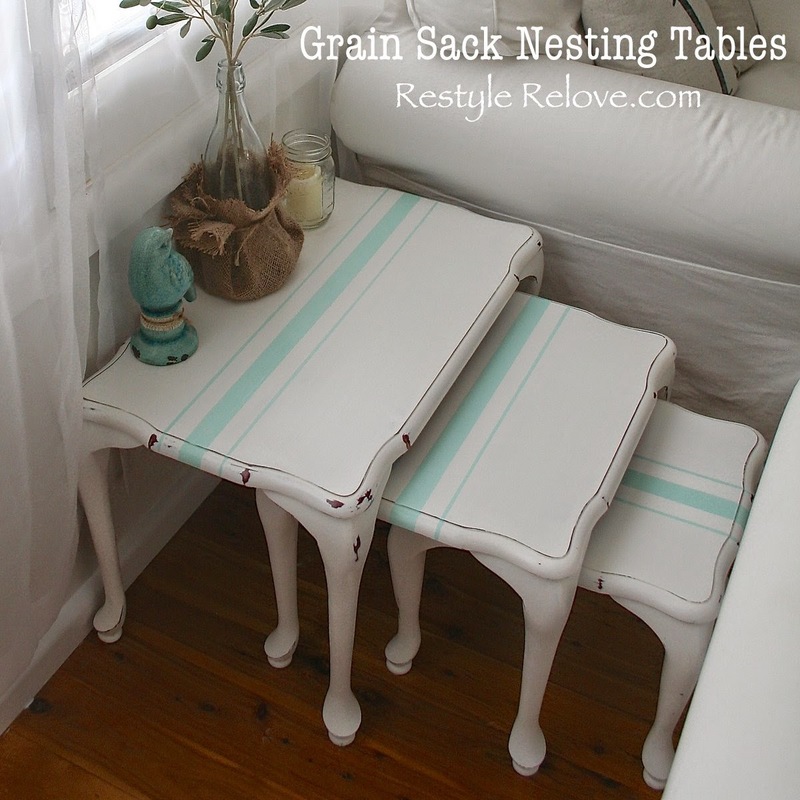 I love your fresh green grain sack stripes that update your little tables perfectly. SO PRETTY! What a major difference! 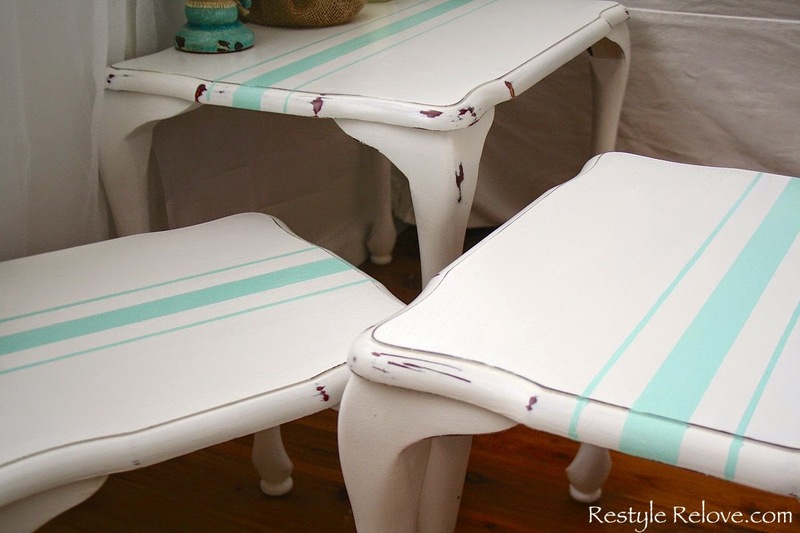 I love what you did--makes me want to find some nesting tables for my house, too!! Beautiful--love the colors! 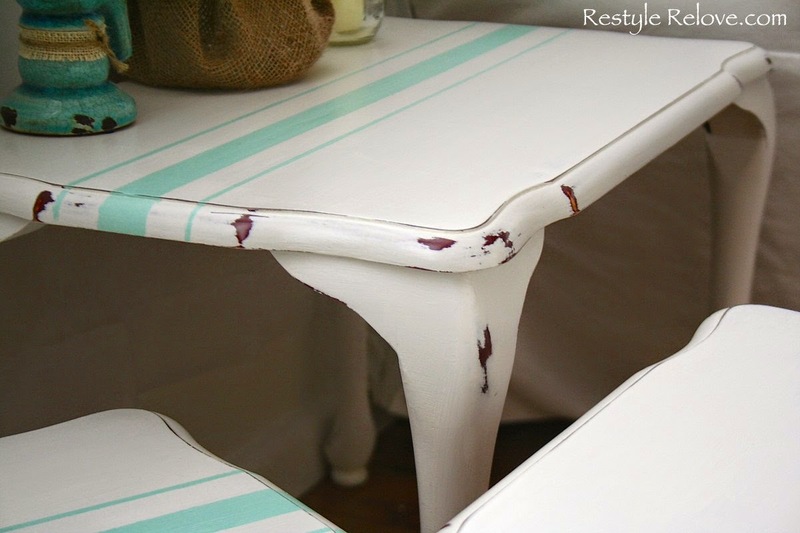 Thanks for linking up to The Vintage Inspiration Party. Wow! These came out great! 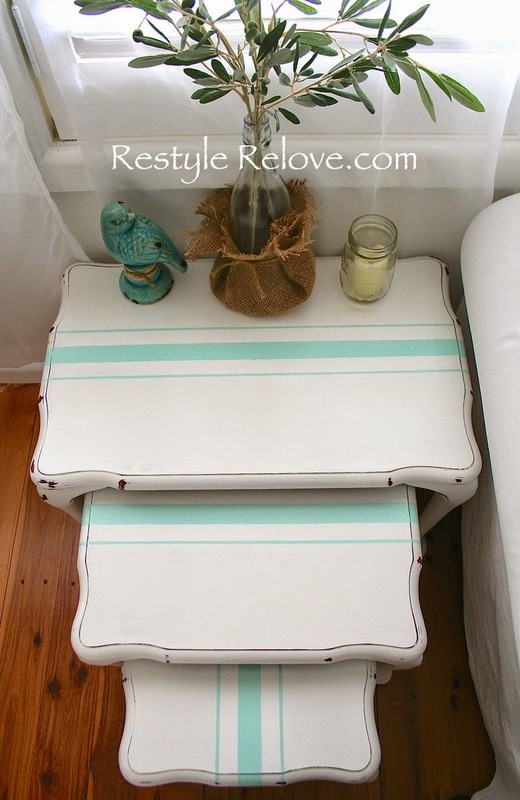 Love the grainsack stripe, great idea! What an amazing transformation! I love seeing pieces get a brand new life!